Angie Thomas made her debut with the #1 New York Times bestselling, award-winning novel The Hate U Give. 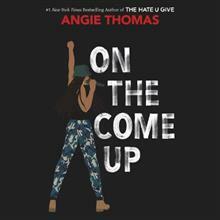 A former teen rapper who holds a BFA in creative writing, Angie was born, raised, and still resides in Jackson, Mississippi. You can find her at www.angiethomas.com. Bahni Turpin has guest starred in many television series, including NYPD Blue, Law & Order, Six Feet Under, and Cold Case. Her film credits include Brokedown Palace and Crossroads. She has won numerous AudioFile Earphones Awards and three prestigious Audie Awards.